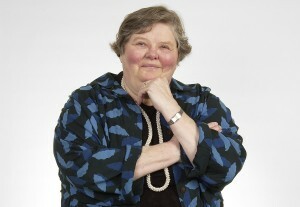 The Barnard Center embodies the vision of the late Kathryn E. Barnard, PhD, FAAN. Barnard was an international pioneer in the field of infant mental health. Barnard founded the Center on Infant Mental Health and Development in collaboration with the University of Washington School of Nursing and the Center on Human Development and Disability as a multidisciplinary resource for research and training. The center was renamed in her honor in 2012. With the support of generous donors, the Barnard Center opened in 2001 with a five-year plan to increase the number of professionals trained to provide therapeutic support for parents and infants in the state of Washington. From 2001 to 2006, the Barnard Center trained 38 Seattle-area professionals, giving a significant boost to the field. A redesigned graduate certificate program started in 2009 graduates eight to 12 students annually. In addition to the Barnard Center, Dr. Kathrny Barnard also founded the Parent-Child Relationship Programs (PCRP) at the Barnard Center (formerly known as Ncast Programs). PCRP is the development and dissemination unit at the Barnard Center. Our mission is to provide the tools and training necessary to support professionals in their work of supporting parents with young children. PCRP was founded in 1976 and continues to train 1000’s of professionals across the globe each year.